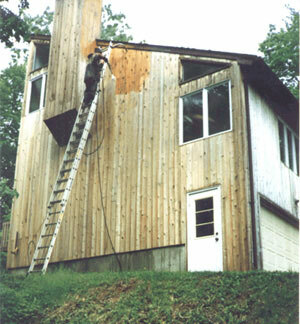 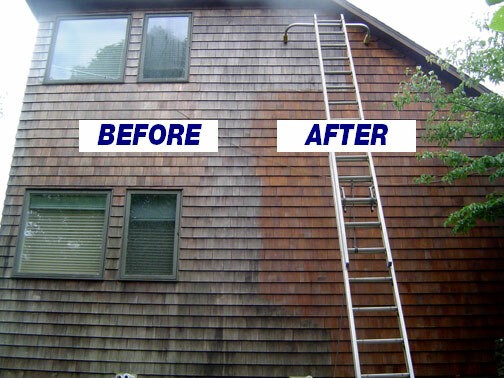 Great care must be taken not to damage cedar siding or shingles. 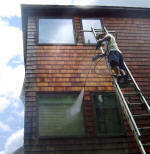 Inexperienced pressure washing can cause wand marks, raised grain fibers and a non uniform appearance. 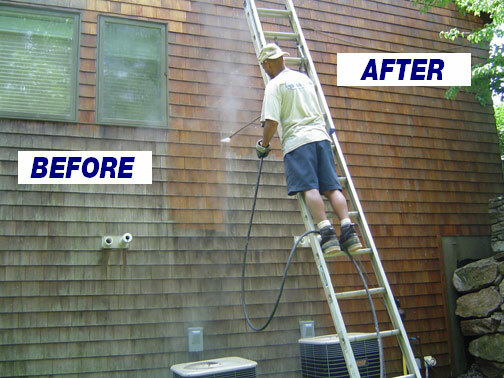 Experienced pressure washing will produce dramatic results. 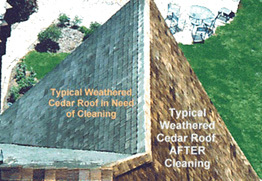 Before any pressure washing is done to a natural cedar structure, a detailed inspection should be completed by a qualified pressure cleaning contractor.